Dota 2 is a fun game for many. But it’s a complex one that requires skill, patience, and teamwork to win. You just need to know what you don’t know to be a better player. In this Dota 2 guide, we present to you 10 things you should watch out for when in a game, as well as the quick steps needed to correct them. By doing this, you might just be able to level up your MOBA game further. Who knows? You might even turn your hobby into a potential career opportunity. Bountie can help you on that path; read more about it here. The Mistake: Most of the time, you’re just one pixel off when you’re using wards. Quick keys might make you feel like a pro, but even high-level players often shy away from using said quick keys if they can help it. The Solution: You can preview what the ward will reveal; this is only needed for observer wards. Wards have a field-of-vision preview, as seen in the blue area above. Use it and get the vision your team needs to win the game! The Mistake: Ever been surprised by an enemy BKB or Butterfly? Have you ever tried left clicking your enemy? This allows you to see their items, especially for support heroes – you can check their inventory constantly to guess if they have just planted a ward nearby. The Solution: Click on your opponents when you have a vision of them to check their items! 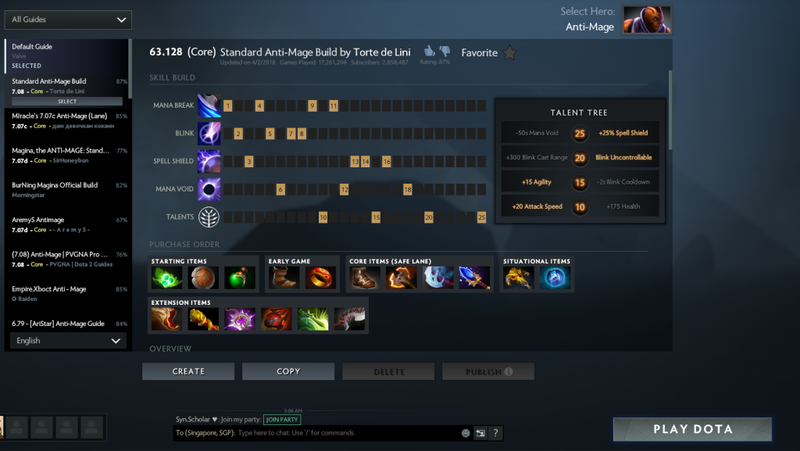 Information is key in a game like Dota 2. And knowing if your opponent has vision or a certain item can mean victory or defeat. Before fighting, or if you spot your enemy somewhere, left click and check. It’ll let you know if your team is really ahead, or if their AFK-farmed carry is just too big to take head-on. The Mistake: There are up to 5 runes available in the game for the taking every 2 minutes, and 4 at the start of the game at the 0:00 mark. You can easily lose control of such runes, even though they can provide an opportunity for your team to take objectives quickly or even win entire team fights. The Solution: Keep an eye on the timer – start with runes every 2 minutes, starting from the 0:00 mark onwards. Supports should be contesting bounty runes and/or securing bonus runes for their cores, so make sure you’re available to do so! The Mistake: Mid-game, you’re either poor or built too many early game items. No worries! It’s kind of an advanced tip, but you can actually recycle certain finished items for their parts. For example, a Ring of Basilius can actually be re-purposed into an Urn of Shadows & Medallion of Courage if required. The Solution: Do your research pre-game. Here’s a list of items that can be freely disassembled. Get creative and improve your game quickly! There is no shame in retreating. Sometimes, it’s the only smart choice. The Mistake: When you’re spoiling for a solo kill, 3 things can happen – you fail, you die, or you succeed. In general, it’s going to be a waste of time 66% of the time. You love to fight, so you find solo kills to prove yourself the superior laner. While that is true, more often than not it’s just too much risk to go all-in for that kill, or a waste of time at best. The Solution: Call your supports for a timed gank (according to your level or theirs) if you need it. If you’re winning the lane, just keep winning – getting more gold efficiently wins games, not kills! The Mistake: You’re level 5. You think you can take on a 4-versus-4 and come out ahead, but your opponents have too many disabling spells. More often than not, it’s not a level problem. It’s a failure to recognise your own strengths. The Solution: To play effectively, you need to know when your own hero is strongest. For most, it’s at level 6 when you’ve hit the ultimate, but there are a variety of heroes that have “power spikes” at different levels. The in-game guides system (like the one below) is more than enough to guide you to becoming a better player! Understanding your own favourite heroes is key – read up the strategy or hero build guides and see what skills people are maxing first. 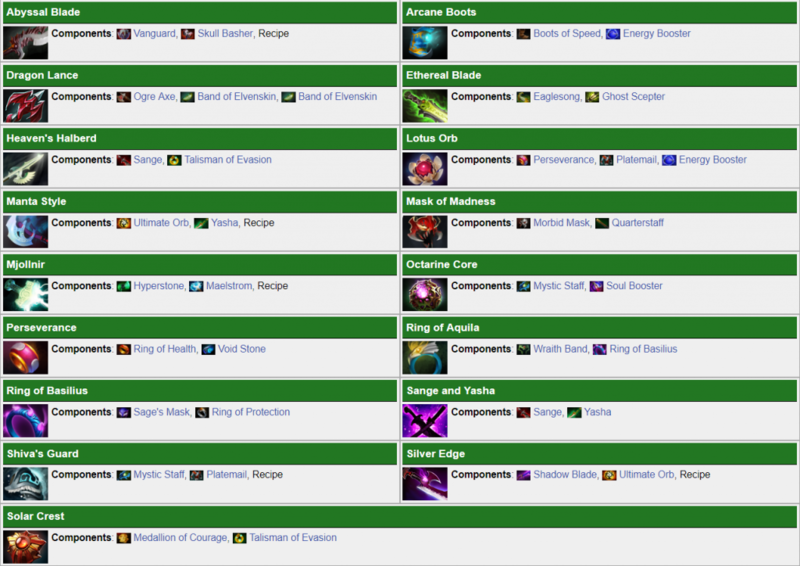 That will give you a basic idea if your hero is built to disrupt, damage, or straight up carry the game. The Mistake: In most games, people rely on sticking together as a team to win games. This is made with the false assumption that there is safety in numbers. The Solution: For Dota 2, farming is equally as important. Many a pub game has been won simply because one side was much more farmed up than the other – which is a huge source of frustration for the team that had been winning lots of team fights. Keep in mind, Dota 2’s gameplay is more than just killing heroes. It’s about taking the final objective, which is the enemy’s Ancient. The game’s full title is called Defense of the Ancient, right? So defend it. The Mistake: The Radiant team outflanks the Dire, who are rushing to save their dying carry. Even a pro player cannot work without information. If your carry is dying on the other side of the map, and everything seems to be going horribly wrong even though your team is “trying to make stuff happen”. Something has gone terribly wrong. In a typical pub game, a common scene would be 4 players looking for fights on one side of the map, with 1 player trying to farm solo. The Solution: Strictly speaking, there are a lot of things to do when it comes to babysitting, but it boils down to ensuring that your core heroes have enough information to fight effectively with. This could simply mean having more vision (wards), or just positioning yourself better so that you are able to spot the enemy passing through choke points before they hone in on your core heroes. Thanks to teleports, defenders always have an advantage. Keep good vision to exploit this! The Mistake: It’s hard to judge when to fight, which leads to many games ending in an overwhelming advantage on one side. While it’s bad to be gun-shy, it’s equally bad to be overeager. The Solution: Make your team feel confident in themselves and communicate positivity. When your team is ready to fight, or if you feel your team is ready to fight, spur them on! This is especially relevant in the lower ranks, where it’s more a problem of confidence rather than knowledge. A textbook example of showing your farming cores and hiding the supports, who could be hiding anywhere. The Mistake: Your enemy seems to know exactly what your team is up to. Most of your ganks miss, or even worse, are ambushed by more enemies than expected. To add salt to the wound, when you want to group up to fight, you realise that your team is just too weak to oppose the enemy. The Solution: As we’ve said before, information is key in Dota 2. The only heroes that should be showing most of the time are those who are farming in lane. Most of the time, there should be 2 heroes hiding from the enemy, setting up ganks, vision, or stacking. Dota 2’s map is huge and extremely dynamic – don’t just stick to the lane! 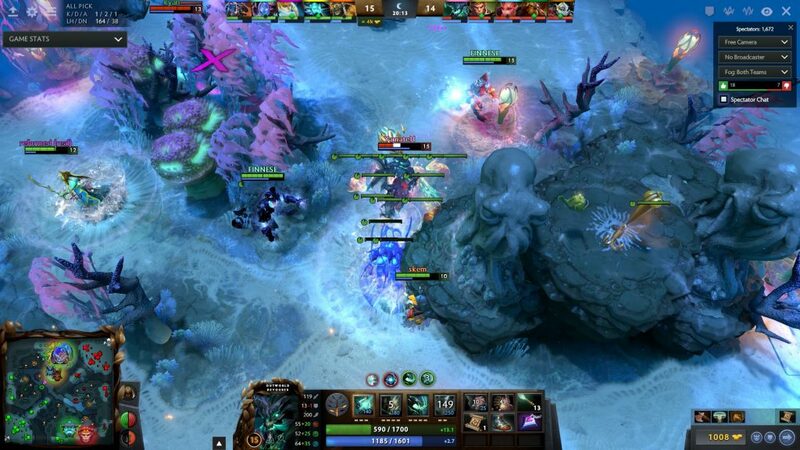 We hope that this Dota 2 guide can help up your game, whether it be casual fights or pro level competitions. If you have any of your own personal Dota 2 tips, let us know on our Facebook page. If you’re a fan of esports, why not consider competing? Bountie gives everyday gamers a chance to earn while playing the games they love. Sign up here for early access.